Vampire bats have had to evolve in concert with their microorganisms. 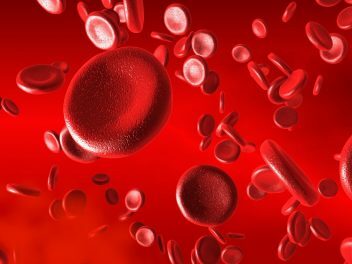 Many mammals consume blood as part of their diet, but blood is actually a pretty poor source of energy. Only bats (order Chiroptera) include species that are exclusively blood feeding. Blood is actually a pretty poor source of energy. Professor Tom Gilbert is the senior author of the Nature article and has collaborated with PhD student and first author Lisandra Zepeda Mendoza on this research. Gilbert works at the Centre for GeoGenetics at the University of Copenhagen, and also holds a part-time position as an adjunct professor at the NTNU University Museum. All three species of vampire bats are native to the Americas. Anyone who has watched animal programs or somewhat suspect movies is probably familiar with some of their adaptive behaviors. Everyone knows about bats’ razor sharp teeth and especially their striking incisors. The teeth are practical for penetrating the skin of their victim. The bats also have specialized cells, called thermoreceptors, that can detect heat and are useful in finding bare skin on a sleeping animal at night. Vampire bats’ infrared vision helps to find blood vessels. Substances in the bat’s saliva prevent the blood in a wound from coagulating. The kidneys are specially adapted to cope with high protein content. The immune system helps deal with any pathogens. This development seems to require one species to develop in tandem with other species. The way this happens may alter the way we perceive evolution: it turns out the other species we co-evolve with are found within us. Vampire bats have developed specialized adaptations that enable them to access blood and then make use of it. In case you’re not familiar with what a microbiome is, we’ll take break from all the blood for a few paragraphs. Some folks may feel a creepy disgust at this thought, but there’s little to loathe about them. We are completely dependent on other organisms to survive, and the vast majority of them are useful, or at least don’t pull any bad pranks that you would notice. In order to understand vampire bats you have to look at the bat’s own genes and all the genes in the microbiome as a whole.